One owner since stock purchase in 1996. 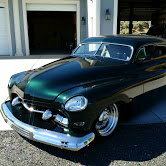 Frame off, Rotisserie restored, Chopped, Torpedo backed and hard topped, Rouned corners, everything shaved,forward 31/2" hood tilt, Custom 52 Cadillac dagmier grill, Custom fabricated and frenched late model Dodge head lamps & reversed turn light. 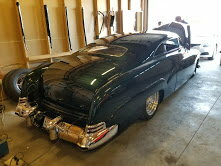 Custom metal finished Buick Style quarter Panels, with stock Merc door drops shaved, Air ride technologies bagged on on 4 corners. Tubular front (FatMan) and 4 bar (ART) rear suspension. Chrome Coilers front and rear, Duel Overhead Cam 32 Valve Hemi from Indianapolis 500 and Infinity Pro-sieries race team, w/computerized tune port injected V8 engine, 700 R4 GM 4 speed, stainless steel (swage lock quick disconnect polished exhaust system) connected to a Custom fabricated 52 cadillac bumper. Top of the line 4 piston SSBC "Elite" engraved disc brakes at all 4 corners. 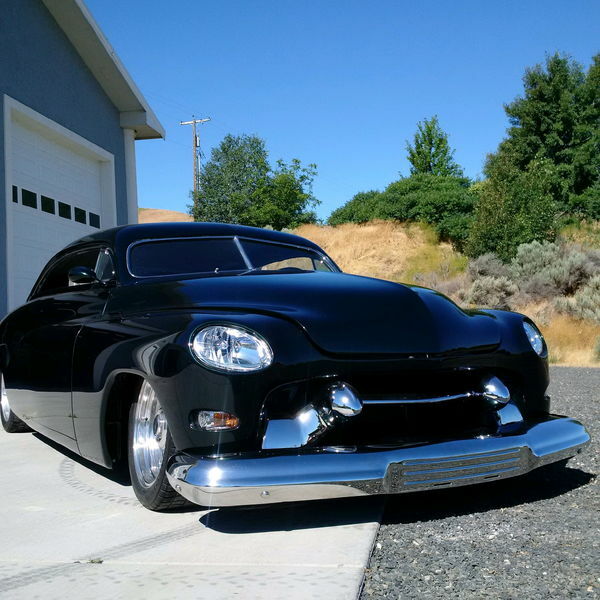 One off custom built Dakota Digital dash, Pwer, Tilt, Cruise, "Shock Wave" dual amp Boom box, Vintage heat and Air, Car was being purposely built for the Detroit Autorama with no expenses spared but my health has other plans. Many years of professional hand crafted work and way more to list here. 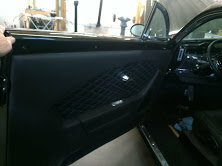 Custom Paint and late model custom black leather upholstery were just completed for the finish touch. Serious inquiries ONLY!!!! This is not a toy. I have every picture of this build from day 1including some in complete metal finish for the skeptical.